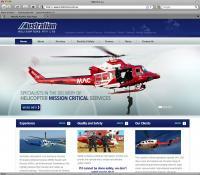 I’ve worked with Trent and the team at TMD Online on a number of projects previously, so when I joined Australian Helicopters, TMD was the first point of call for developing the company’s new website. In the past 6 years I’ve known Trent, his company has consistently delivered projects on time and to budget. Their new “Netranger” CMS is easy to use, and puts the website completely in our hands for ongoing management. I would recommend TMD to help promote your company’s online presence.